Bad news for Labrador owners! It is that time of year again. If you look closely, your house was probably coated with a fine layer of pale golden shed Labrador hair. 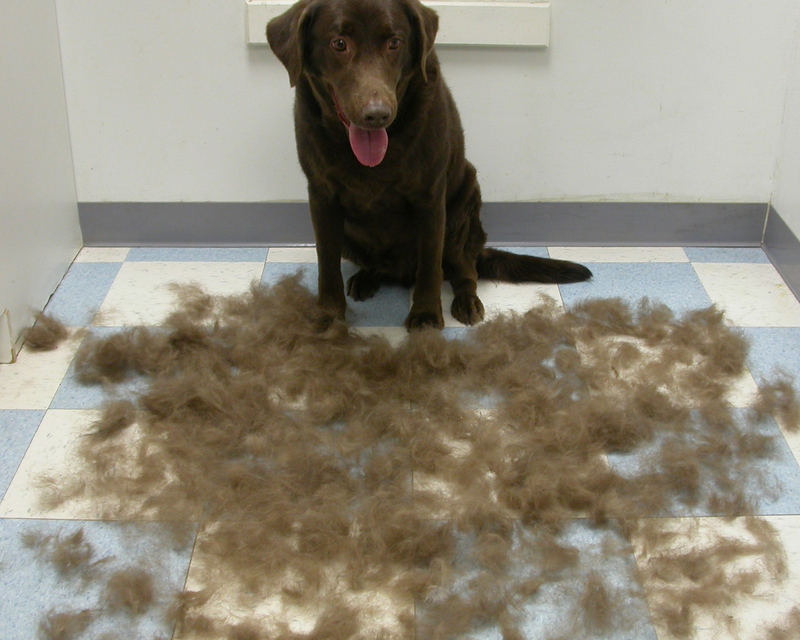 Yep, it’s labrador shedding season! Some dogs can shed a lot of hair and only if you have the best dog brush for labs, you can have complete control over its fur. But choosing the right dog brush can be a tough task, as there are lots of models available in the market right now. 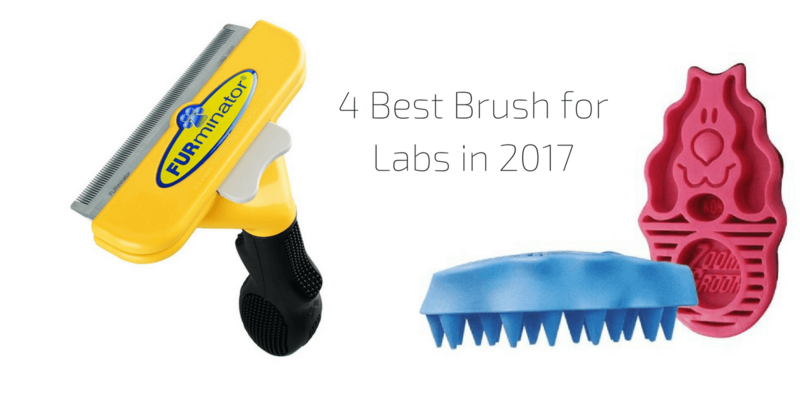 Hence, in this article, we’ve put together a list of 4 best brush for Labs in 2018. These brushes have been carefully selected after looking after the various aspects of the brush and how these brushes can help you to carefully tackle this issue. One thing is certain that you cannot stop your dog from shedding hair, but what you can control is having the best dog brush for shedding to keep your dog as well as your house clean to a great extent. What is the purpose of shedding? Many animals, especially those that live in places with constant climate changes have a twice yearly “molt”. It usually happens in spring and then again just before winter. During the spring molt, the animal sheds its winter coat to grow a new one for the summer season. The process repeats as the temperature falls. The summer coat is shed and replaced by a warm one. Some animals have different seasonal coat colors due to camouflage against a different kind of terrain, like foxes. Why does my Lab shed so much? Labrador shedding season you say? 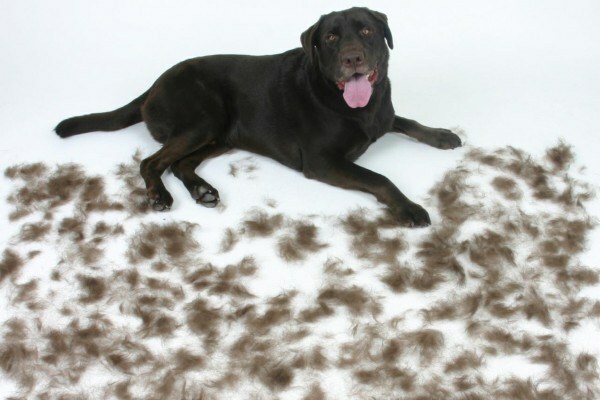 When we speak about labrador shedding season, there are some Labs that are thoughtful to shed only two or three times a year, while many others seem to shed through out the whole year. So what is the main reason that Labrador shed so much more than other breeds? Labs are mostly long haired dogs and have a “Double-Coat”, meaning they have two layers of fur: a top layer called the Guard coat (sometimes called top coat) that is slightly more “wiry” and abrasive. Underneath you’ll find a softer and lighter under-layer called the Undercoat. When combined, these layers are used to regulate body temperature, protect from harmful UV rays, repel water, and protect their skin. You must note that it’s a very bad choice shaving labrador as you are not doing any good to him. That hair keeps their body temperature optimized. How to remove hair using Best Brush for Labs? Usually, when Labs are not shedding they don’t need that much grooming. However when it is time for your Labrador to let his old coat go, daily grooming is necessary in order to keep your house clean. It will make a huge difference to the quantity of hair on your floors. When it comes to dog brushes, there are many types of dog brushes available, but most of them basically fall into these categories. Bristle brushes are ideal for short-haired dogs and smooth-coated ones. The bristles on the brush help in clearing the debris easily and also provide a nice shine. Loose hair in your dog is easily removed and combing with a bristle brush also stimulates the skin to a great extent. You can even use a bristle brush on long-haired dogs, but the only thing is that you need to choose a brush with longer bristles than the normal ones. If you look closely, a pin brush resembles the one used by people and especially women. They also come in oval-shaped and are ideal for dogs with medium and long hair and dogs having woolly or curly coats. These brushes have wires with pins on top and are very useful to easily gather all those loose hair from your dog, before it sheds on to the floors and furniture in your home. Slicker brushes are perfect for medium or long haired ones and are good at removing mats. They have very fine wire bristles that can greatly help in removing the tangles too. When it comes to slicker brushes, there are many types of them available in the market and always make sure to get one that comes with an easy-to-use handle that can help in grooming your dog easily. Care should be taken when using a slicker brush, as the wire bristles can cause discomfort to your dogs if more pressure is applied during the grooming process. Rakes are another kind of dog brush that can easily enter through thick coated dogs to remove mats and tangles easily. Designed like a shaving razor, they come with pins placed in two rows to remove the maximum amount of loose hair and tangles as possible. Rakes are perfect for dogs with a thick undercoat as these dogs attract a lot of debris undercoat during the shredding season. And only the rakes can easily remove that debris with ease. While selecting a rake, make sure to check whether the pins of the brush match the length of your dog’s hair, or else it can’t reach the undercoat. The amount of hair removed is typically even more than that seen with the use of many other shedding blades. Regular use of the FURminator means no longer getting a handful of hair when petting the dog. In addition, the amount of hair buildup on floors, furniture, and dog beds is noticeably reduced. While grooming, be sure not to put too much pressure on the dog’s skin with the FURminator. Gentle combing is all that is needed for this tool to be effective. One more important thing that why the FURminator continues to lead the rankings is that most of the dogs actually enjoy getting groomed with the FURminator as it doesn’t damage the top coat and removes a lot of dead hair in a short time. 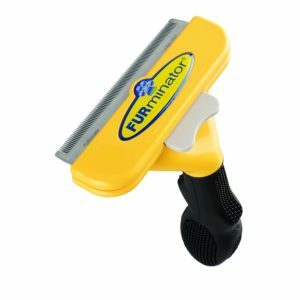 The FURminator is a great, easy-to-use tool that every dog owner must have as it reduces the shedding to almost 80-90% easily. It’s specially designed teeth penetrates the topcoat easily and removes all the unwanted dead hair quickly. It is also very safe to use as it doesn’t damage the top coat or the skin. The Shedding process is also made easy for the dog owners as the FURejector button ensures the hair in the brush is removed quickly when compared to other dog brushes. The ergonomic handle also ensures a comfortable and easy shredding. It sure can be on a list of 4 best brush for labs in 2018. So, which furminator for lab should you choose? Check on Amazon! This brush is a lifesaver for anyone who owns a dog that is a heavy shedder. 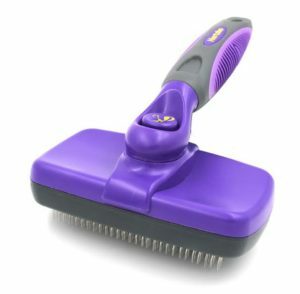 This brush collects much hair and it gives your furry friend a nice little massage which he will love! Customers have reported that they have used it for only 15 minutes a day, to reduce the amount of hair all around the house. What does Kong ZoomGrom do? The Kong ZoomGroom is an excellent dog brush tool that is perfect for grooming as well as shampooing your lovely lab. Made using rubber, it actually creates a massage-like feeling for your dog while grooming and removes all the loose hair easily without damaging the topcoat. It also largely helps in stimulating the capillaries and promotes natural oil production to ensure a healthy skin and coat for your dog. It is available in two sizes, small and regular so that you can choose the appropriate brush based on the size dog’s age. 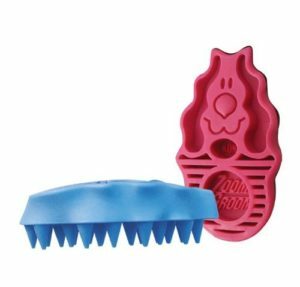 The Kong Zoom groom is also a great brush while bathing your dog as it gently cleans your dog’s coat with its soft rubber bristles. The brush is ergonomically designed to make it easy to use and fits perfectly in your hand. The soft rubber knobs ensure that it doesn’t damage your skin or top coat in any way. Our final word on the Kong Zoom Groom is that we’ll keep it and keep using it. Even if the hair removal isn’t the best we’ve seen, the dogs really like how it feels, and I’m sure it’s good for their circulation and general skin health. You can also read reviews from people who bought it on Amazon, just click on the link below and scroll down to the Customer Reviews section. This is my personal favorite dog grooming tool/fur remover brush for quick clean-up around the house. We like to call it true touch deshedding glove. It comes to an action if your Lab isn’t a huge fan of brushes or other grooming kits. It’s simple to use, just stroke your Labrador along her back just the way you would do with any other kit, or when fussing her. The glove will do the job, lifting the top layer of fur. It might not reach the second coat layer, but it sure helps to remove the dead hair from the surface. 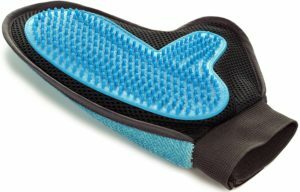 Reasons I mentioned above makes this Pet Glove one of the leading Grooming Tool on my list of Best Brushes for Labradors. It is a versatile pet grooming glove that can accomplish a lot of tasks as it can assist in removing the knots on the top coat of your dog and easily remove all the dead hair and loose hair from its undercoat and reduces the shedding to a great extent. It is perfectly suitable for daily grooming of dogs having all kinds of coat including small, medium or large coated ones. The adjustable Velcro strap enables to create a tight fit on your hands that it doesn’t come off during the grooming process. The underside of the gloves comes equipped with rubber tips that create a soothing and relaxing feeling to your dog during a rubdown. Apart from grooming your dog, it can also help you keep your home and all the furniture free from all those loose hairs, as velour on top of the glove can easily attract all the hair from your carpets, fabrics and furniture. If you are looking for a two in one product that keeps both your dog and your house clean, then the Pet in glove 2-in-1 glove is your best bet. But here is the interesting part. It also removes hair from furniture! Glove’s velour side effectively cleans fur from furniture & carpets. Rubber tips provides a gentle and relaxing massage. Petting is better than pet chasing! Extra gentle for daily grooming. Perfect for sensitive & young pets. Seller will send you your money back just in case you don’t love the glove. This is a well-reviewed product, with the most loved features being it’s a sturdy, long-lasting brush, and one that’s comfortable for the owner to hold. It is actually good for both cats and dogs. It gently removes the dead and tangled hair, which can be uncomfortable for your labrador. It works for all sizes and hair types. We could say that this is the only brush that will work in multi animal household. The brush goes deep into the coat without any damage to the skin which gives your dog massage like feel. Who wouldn’t love that, right? But the cleaning function is the best part – you only have to click a button and the bristles retract into the brush, allowing the hair to simply wipe off. It comes with a comfortable curved handle that is ideal for dogs having all kind of coats and is a great brush for everyday use too. Delivers great results with minimal effort. It is available in many sizes, including small, medium and large sizes. Great removing all kinds of tangles, mat and loose hair from your lab easily. For you, the tool has a comfort grip that makes it easy to hold during even the longest grooming session. Even after the first use, you will notice fewer pet hairs around your home and your pet will feel and look great. From my perspective, this is probably the best dog deshedding brush. Try it out and tell us your opinion! If you have a good budget, having more than one grooming product is recommended as you can test and decide the best option for your dog. When dog brushes are used correctly and on a daily basis, they will save you lots of hours of cleaning.